It isn't uncommon for a vehicle to get scratched or dinged, and it may be possible to repair the damage on your own. At Faraz Auto Sales Ltd., we want to give you some advice as to how you can accomplish this task. First, get the color code from the vehicle manufacturer. It usually isn't good enough to assume that because your car is red that red paint will do the job. Instead, it is likely that a true red color will look different than the actual shade used by the manufacturer. You may get into your car sometimes and think that it smells. This could have been because you left something in your vehicle, or it could be that you don’t have the right freshener. Every car has a smell. Even new cars can have an overpowering leather smell. There are many things that can cause even worse smells. Knowing what these smells are and preventing them is important. Gross combined vehicle weight rating is an important phrase that all drivers need to know before hauling any loads. That particular specification tells you exactly how much weight your truck or SUV can safely haul at all times. Going over that number could result in a major accident or expensive damage to your vehicle. Brake fluid is vital for helping your vehicle's braking system function properly. It lies within the brake lines and comes in two variations. It is important that you keep your vehicle's brake fluid maintained because if your vehicle doesn't have brake fluid, you won't be able to stop the car when you apply pressure to the brake pedal. To learn more about brake fluid, read further. One of the most important things to know about oil is that it thickens and thins according to the temperature. Also, different oils come at different viscosity. Therefore, it is important to make sure that the oil is at the right level for your vehicle at the right time of the year. Here at FARAZ AUTO SALES, we want to help people understand how best to use their vehicles, because if you don't know how to properly use it, you won't be able to get the full value out of it. 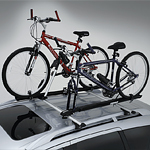 Here are some helpful tips for how to properly use a roof rack to secure cargo on the roof of a SUV, van, or other medium to large vehicle. It's definitely fun to take the family for a nice vacation. However, when the kids get bored while traveling down the road, the vacation experience can be less than stellar. It often helps to keep the children occupied while traveling. We want you, as a car owner, to be able to take care of your car. We’re also prepared to help you learn some important maintenance procedures. We also offer many automotive services and have highly-qualified, certified technicians working at FARAZ AUTO SALES. Stop and visit us at your earliest convenience. Tailgating is a lifestyle for many during football season. 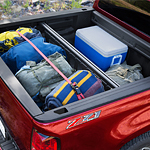 The right truck and tips for packing all the essential and non-essential items will help in having the best tailgating experience. Consider some of the following tips from experts when planning your next tailgating experience. Pack your cooler properly. Place cans and bottles on the bottom and bagged food items in airtight containers above the ice layer. Consider labeling the top of your cooler so guests can find items easily and not let in warm air. Does Your Suspension Need Maintenance? If you have ever been driving around Toronto and you notice that your steering is getting a bit sluggish, you might have a bit of a problem. If you are also noticing that when you hit a bump, you are feeling it more than you used to, it could be at the root of the same problem. It appears that your suspension might be going out.